That is a supercute hat. Can’t blame him for wanting to wear it, whatevre the season!! First thing he put on, still in his PJs! Cool hat, I want one! Did you have a dinosaur to breakfast?! Cool hat! He would wear it to bed if I let him! 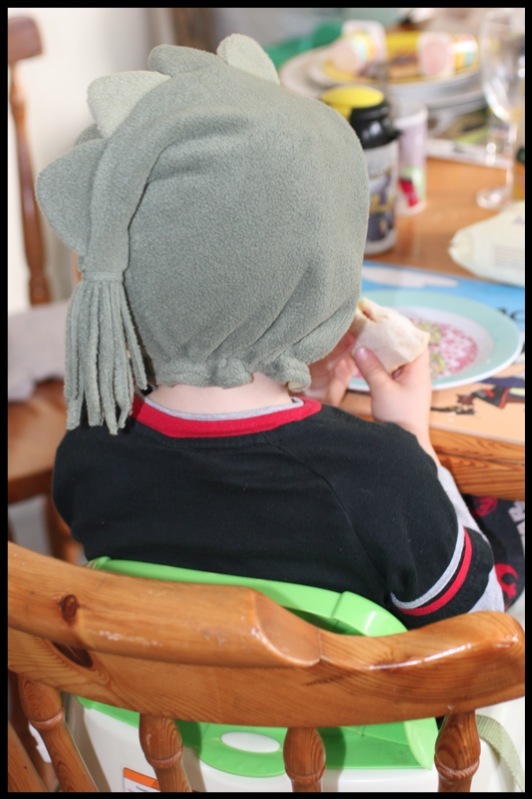 Cool hat, my eldest does this – but more to put his hair in place for the day!